Digital Camera is Britain's biggest and best photography magazine packed with inspirational images, expert techniques and essential tips for capturing great images. Once you've taken your shots, you'll learn how to use your computer to perfect them. Digital Camera Magazine provides more expert advice than any other magazine with the sole aim of making you a better photographer. Digital Camera's easy-to-follow technique guides show you how to get the most from your SLR and perfect your shots in Photoshop, while the most in-depth tests around enable you to buy the very best photo gear. Better still, every issue is full of inspiring tips from leading pros. 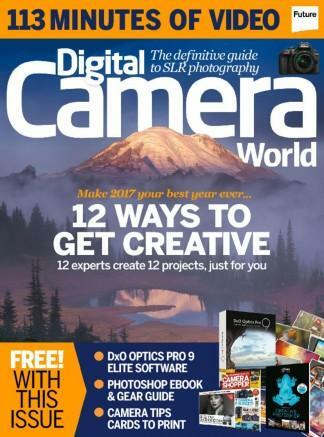 Take out a subscription to Digital Camera Magazine and make sure you're up to date with the latest cameras, accessories and software. Be the first person to tell us what you think about Digital Camera Magazine (UK) and you'll save $5 on your next purchase!